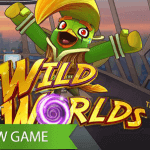 It’s only a few days ago that NetEnt released a new generation of superheroes in the Wild Worlds™ slot. 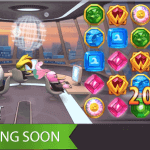 Now, a few days later, the software developer announces that another bunch of superheroes are coming to town, this time to protect their city from the evil Deep Pockets in the Arcane: Reel Chaos™ slot! You can never have enough superheroes and the same goes for action-packed video slots. 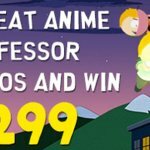 NetEnt tries to listen to its players more. To see what their wishes are and that’s most probably why two superheroes-themed video slots are launched in a short period of time. 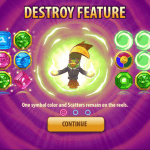 First, players got a chance to see three bird superheroes in action in the Wild Worlds™ slot while the Arcane: Reel Chaos™ slot will bring the four heroes – Flare, Chronos, Zero.x, and Psyop to the reels. Each of them will bring their unique super powers in order to protect their city which can be found in a dystopian futuristic world, steeped in the occult. In fact, it is the evil scatter symbol that turned Deep Pockets into the person he is today. This brought troubles to the city and it is up to the heroes to destroy it in order to save their city! 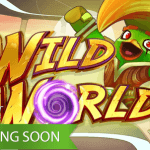 Besides four new superheroes, NetEnt is about to bring Stacked Wilds, Multipliers, Multiplying Re-Spins, and Overlay Wilds as well. 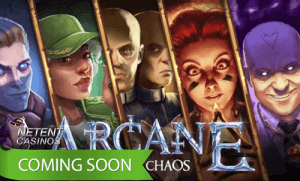 This will all become available as soon as the Arcane: Reel Chaos™ slot is launched at the NetEnt on the 16th of May, one week before the branded slot Narcos™ is launched. NetEnt published a first footage of the Arcane: Reel Chaos™ video slot showing the game will became a 5-reel, 3-row and 20 bet lines counting game in which you’ll experience four heroes trying to protect their city and battle it out with the evil Deep Pockets. The four heroes Flare, Chronos, Zero.x and Psyop will each be responsible for a special slot feature which means there will be at least four special features available in the upcoming superhero slot. This might be responsible for the name of the game as this number of features can truly bring chaos to the reels! 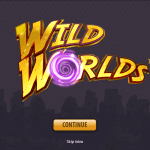 The video has a Harry Potter kind of feeling and I’m sure many players will be attracted by the theme, as well as the great number of video slot features in which Wilds, Multipliers, Re-spins, and Free Spins will be of great importance. Psyop has the power in which Stacked Wilds appear on the reels and we all know how welcome Wilds are as they can substitute for all the other symbols. Zero.x will bring magic to the reels in the form of Overlay Wilds which will be randomly placed on the reels. Another type of Wild, these will create substitutes for other symbols as well and a bigger chance to win. Flair’s Multiplier brings great animations to the reel as a Multiplier symbol will appear. Her Multiplier can increase your wins by x3, x4, or x5. Superhero Chrono has the power to activate a Re-spin and when he does all 5 reels will spin again. It seems that this Re-spin will be combined with a Multiplier as well which makes this last special feature one to look forward as well. No action-packed video slot without the addition of the Free Spins feature which will be activated by three Scatters appearing on the reels 1,3 and 5 during the main game. In this special feature, all the heroes are equally important as they will battle it out against Deep Pockets. Who will win? When the time is there, you’ll find out! You’ll spin the reels, spread the cards to get ready to strike! The battle will begin with only one aim, to defeat the evil Deep Pockets. It’s therefore that the Arcane: Reel Chaos™ slot will guarantee a high energy game when it’s launched on 16th May!